Going back as far as the first Mortal Kombat in arcades, you could tell that Ed Boon was destined to work within the world of superheroes. From its inception Mortal Kombat has had super powered martial artists interacting with Gods, sorcerers and weird creatures from alternate dimensions and the franchise has even rebooted itself through a recreation of its universe from time-travel not unlike some major comic book event stories have done. In 2008 Boon was given the opportunity to play with characters from the DC Comics universe in the underrated Mortal Kombat Vs. DC Universe, a game that perhaps didn’t do justice to the clashing universes but was a solid fighting game nonetheless for those who could overlook some of its rough spots and lack of M-rated carnage. Boon and his team at Netherrealm Studios was allowed to course correct both properties, first with the well received reboot Mortal Kombat (2011) and then through the studios first ever solo DC Comics’ fighting game in 2013’s Injustice: Gods Among Us. Injustice’s setting is that of a parallel universe in which tragedy pushed Superman over the edge into enslaving humanity instead of protecting it, causing the lines to be blurred among the heroes and villains in the super powered community. It cleverly mixed a traditional fighting game campaign with a story spanning multiple chapters on sides of the conflict where the horror was not found in the buckets of blood and severed limbs, but rather in the nightmare scenario it presented. 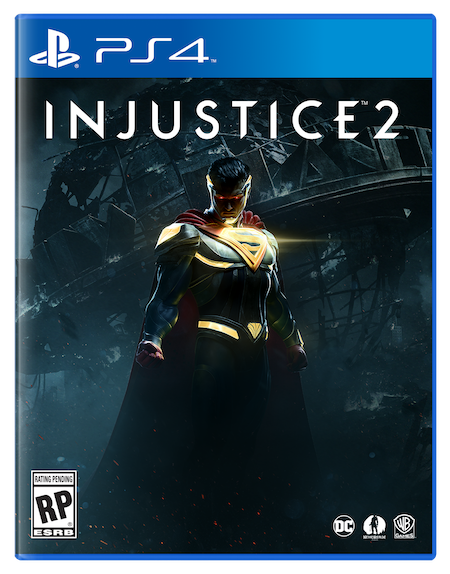 Now after a four-year hiatus from the universe, Netherrealm returns once again to the DC Universe with Injustice 2, a game that like Mortal Kombat II all the way back in 1993 is a clear example of how to do a sequel to a hit fighting game right. Injustice 2 is a must-play game, even if you’re a casual fan of titles in this genre at best. Picking up after the conclusion of Gods Among Us, Superman is imprisoned following the defeat of his regime while Batman/Bruce Wayne is busy not only rebuilding the damage cased in the conflict, but trust in the super powered community as well. Heroes loyal to Superman lie in wait to free him, villains band together to wreak havoc now that they no longer need fear their Kryptonian overlord and all are threatened by the arrival of Brainiac whose mere presence once again redraws the lines of all alliances as he threatens to do to Earth what he did to Krypton: wipe it from existence. Like the first Injustice, Injustice 2’s main strength is within its story. There’s a greater sense of weight and stakes to the battle this time around as there’s no alternate versions of characters populating the universe like there was before. This provides a lot of terrific context to each fight within the twelve chapter story where every character’s place is clearly defined and not one is out-of-place. Injustice 2’s roster of over two dozen fighters, composed of returning favorites like Batman, Superman and Wonder Woman along with new fighters like Captain Cold and Swamp Thing all have a chance to share the spotlight either as playable characters or opponents to be fought. As there’s no two Batmen or Supermen running around, it provides Netherrealm more opportunity to explore new characters other than the safe and popular ones. Of course there’s still a lot of safe choices in the story as well, made up of characters that have either appeared in movies, TV shows or both, but even a character like Harley Quinn who has been super saturated in all forms of media manages to surprise thanks to terrific writing and character direction. Trust me, if you’ve become sick of Harley Quinn as of late (like I have), Injustice 2 will fix that. What makes the story in Injustice 2 that much more incredible are its high production values. Cut-scenes between fights are some of the best ever captured within a video game with facial animations that are borderline uncanny and rival the work done by studios like Naughty Dog. Injustice: Gods Among Us featured some limited interactivity in its cut-scenes in the form of simple quick-time events and mini-games which have been eliminated here. While this means the player becomes more of a spectator in the story and less of a participant than before, the between fight movies are so spectacular that you won`t mind one bit and it makes every breather you get to take between bouts a reward for victory in the story mode. While the bar for presentation and story have been raised far higher than they were in the original Injustice, the fighting mechanics are largely unchanged which isn`t necessarily a bad thing. Injustice`s mechanics were both simple and complex enough to be enjoyed by casual players and EVO champions alike with combat simplified to three attack buttons: a light, medium and heavy attack with another reserved for character specific actions like Green Arrow`s array of trick arrows and Supergirl`s hit vision. 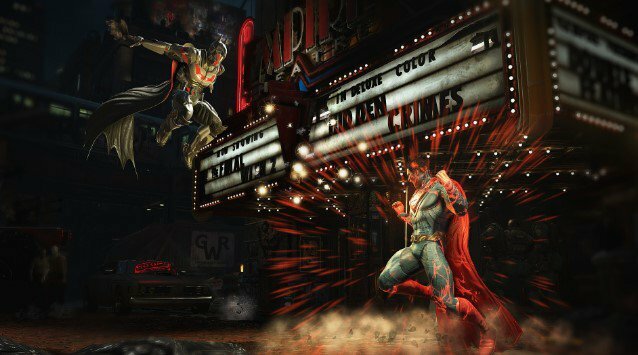 Injustice: Gods Among Us allowed you to use items in the environment to your advantage and transition to new arenas with a carefully placed hit and both are simplified thanks to helpful indicators under your life meter instructing you as to when you can do so. Meter management once again plays a large part of each fight and knowing when to use it and for what purpose can turn how a match plays out considerably. Once again you can fully build up a meter to unleash a devastating super move that plays out via a brief pause in battle should you land it successfully and this is activated by hitting the two bottom triggers together just like it was in Injustice: Gods Among Us. If you`re on the losing side, it`s often wide to hold off using your meter towards the returning clash mechanic where you can wager portions of your energy to regain health when you lost one full health bar by catching your enemy when their energy is low and your`s is high. A new use of your super bar in Injustice 2 is a new ability to use a quarter of it to escape behind an enemy on the ground or in the air and through projectile accounts. This new addition makes competition much fairer when playing against human opponents or the AI and is simple enough to activate by just hitting forward and the bottom right trigger. Completing Injustice 2`s story will take you around five hours or so depending on your skill, and for those who don`t feel comfortable playing online, there`s still plenty to do once the credits role because of the new Multiverse mode. Replacing the S.T.A.R labs events from Gods Among Us, the Multiverse instead provides daily rotating challenges like getting through as many matches as you can without your health filling up between rounds or only playing as a certain character. What makes Multiverse most addictive however is not by the challenges it can present, but by the rewards you get by winning. Injustice 2 introduces RPG-lite mechanics through its gear system. Playing all modes rewards you with experience to level up your roster of characters and loot boxes that can be opened to get things like armor, different color schemes and in the cases of some characters, new skins that turn them into completely different characters such as Captain Cold who morphs into Mr. Freeze as an example. Gear is often tied to levels, so for example if you obtain a level ten cowl for the Flash, you can`t equip it until that characters reaches that level. Fighters can be leveled up simply by using them in the story, Multiverse or online. 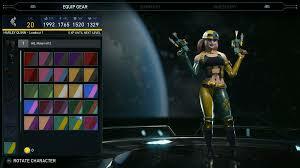 The gear/experience system provides great incentive to experiment with all the cast as opposed to just sticking to a main or a small sample of characters as new gear and higher levels not only allow access to more Multiverse events, but provide a level of player customization not seen in a lot of fighting games. The introduction of loot does come with a caveat however as it brings in gacha mechanics like those found in free-to-play and mobile games. Currency for getting loot boxes and items can be earned by simply playing Injustice 2, however it can also be bought by using real life money. It does sour the package a little knowing these things are present, however the way the system is set up makes it such that it doesn’t turn the game into a pay-to-win situation. That goes double if you only ever play Injustice 2 locally with a friend or solo. It’s difficult for me to properly evaluate fighting games as it’s a genre in which I only really have a passing knowledge of and it’s for that reason that I love the work of Netherrealm Studios. The studio makes games in a genre that’s primarily meant to be played competitively but can also be enjoyed as solid single player experiences. If you love DC Comics stable of characters you owe it to yourself to at the very least try Injustice 2 as simple put, it’s the best DC Universe story ever told in a video game and features some of the best presentation values in the industry today. Between the story campaign, the daily Multiverse challenge and the RPG systems, you can spend hours with Injustice 2 without ever venturing online or handing someone else a second controller. I don’t envy the team at Capcom who are putting together Marvel Vs. Capcom: Infinite for release later this year as Injustice 2 has raised the bar of what’s to be expected in fighting games going forward.